i always wonder, “what is someone thinking? 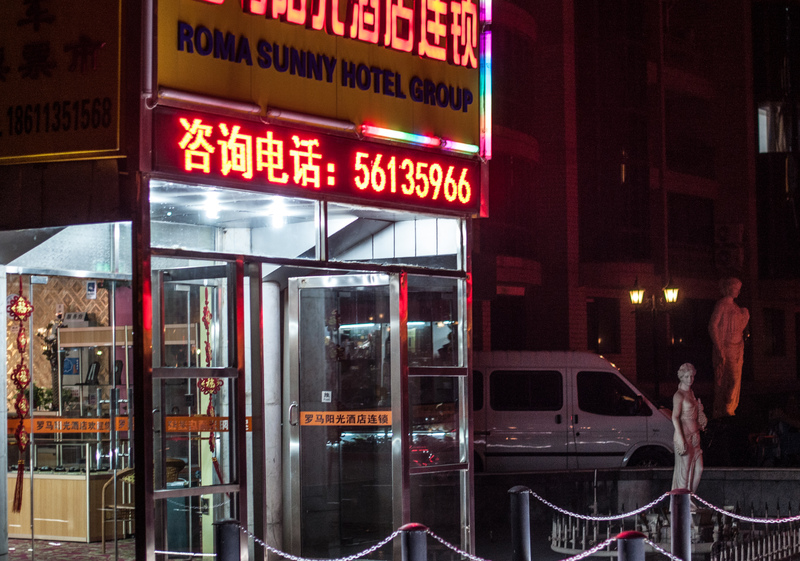 what is their concept?” when you take a photo that is so disjunctive within a beijing context: the roma sunny hotel group and the roman (greek?) statuary and the chinese decoration (the tasseled lantern). was there a fountain too? i love when cultures come together in these strange ways. My apartment complex (Roman Gardens) was designed in the early 1990’s by an architect from Hong Kong. The fountains were an attempt to balance Feng Sui (wind/water). Only the main fountain still (occasionally) has water. 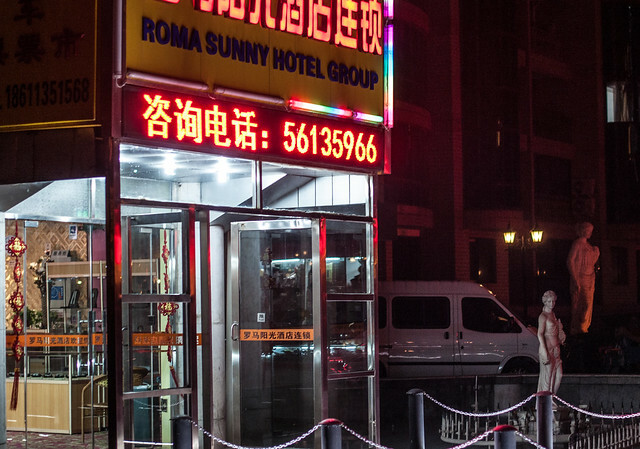 Roman Gardens was one of the first high-standard apartment complexes built in Beijing, and is fairly well known throughout the city.